Peduti Advogados is a law firm specialised in IP, entertainment and IT law. With 40 years of experience in these fields, we are renowned for the excellent standards pursued by our practice and for the expertise and deep knowledge of our team of professionals. The firm´s office is strategically located in the business and financial centre of Sao Paulo, the biggest city in Brazil and Latin America, metres away from the Brazilian Patent and Trademark Office. Peduti’s practice includes all aspects of patent, trademark, copyright, software, domain names, advertising and trade secret law, including advising, counselling, prosecution, licensing and litigation. 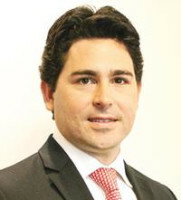 The firm has been recognised as one of the top IP law firms in Brazil. Peduti provides online database access to its clients, who can access and track their patent and trademark cases on our website. The site also offers full information regarding next steps and case deadlines. The team consists of 25 professionals, ranging from paralegals to technicians and trainees to partners, all of whom are focused on intellectual property. Our lawyers graduated from top law schools in Brazil and most have LLMs in IP or internet law. We also have patent attorneys specialised in science and engineering and an economist responsible for the evaluation of trademarks, patents and software in Brazil. Our partners, associates and trainees are encouraged to continually develop their knowledge in order to enhance the quality and consistency of the advice they offer. Most of our professionals have a specialist degree relevant to their field of work. The trademark practice is one of Peduti’s key offerings and utilises a team of highly specialised prosecution attorneys. Our trademark lawyers have extensive experience in the procedures and decisions of the Brazilian Trademark Office. Our attorneys work strategically with our clients to help the development of their business. The firm manages a large portfolio of trademarks in Brazil and abroad. The Peduti team have experience in drafting agreements, including franchising, licensing and technology transfer. The team also manages the negotiation of cross-licensing and technology transfer and provides advice on how to record the agreements in Brazil and pay the necessary taxes. The Peduti litigation department includes lawyers with more than 20 years of experience. The department is known for obtaining favourable preliminary injunctions, which guarantee the best interests of clients. The firm’s legal professionals can provide successful results in all lawsuits relating to trade secrets, unfair competition, trademark, patent and copyright matters. 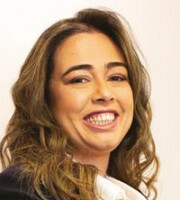 The head of the Peduti litigation department is well-known in Brazil for handling lawsuits involving counterfeiting and piracy problems. In the patents area, Peduti is specialised in prosecution, drafting and filing patents in Brazil through the Paris Convention and the Patent Cooperation Treaty and responding to office actions. Besides our prosecution and litigation work, the firm also provides freedom-to-operate analyses in Brazil. Peduti also has experienced lawyers in IT law who provide advice regarding data protection and privacy. Our professionals are experienced in drafting privacy policies, end-user licence agreements, general licences and assignments. Peduti’s clients include both national and international companies from all industries and of all sizes, in addition to individuals and start-ups with businesses related to innovation and technology. We have professionals who can speak English, Spanish and Portuguese. The firm is proud to provide personalised services to guarantee that our clients receive the best advice.